Atos has completed the acquisition of the Siemens' subsidiary, Convergence Creators Holding GmbH (CVC), a global, multi-industry digital transformation solutions provider. Atos' intent to acquire CVC was announced on October 2, 2017 — the company delivers software-based solutions in the fields of communication networks and enterprise cybersecurity. Atos has approximately 100,000 employees in 72 countries and annual revenue of around 12 billion euros. The Group provides Cloud services, Infrastructure & Data Management, Business & Platform solutions, as well as transactional services through Worldline, the European leader in the payment industry. 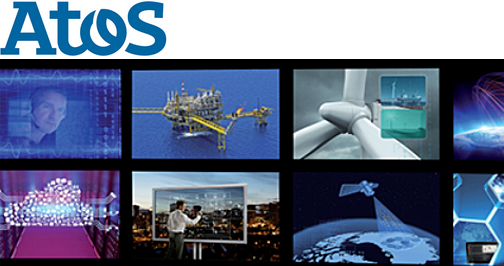 With cutting-edge technologies, digital expertise and industry knowledge, Atos supports the digital transformation of clients across various business sectors: Defense, Financial Services, Health, Manufacturing, Media, Energy and Utilities, Public sector, Retail, Telecommunications and Transportation. The Group is the Worldwide Information Technology Partner for the Olympic and Paralympic Games and operates under the brands Atos, Atos Consulting, Atos Worldgrid, Bull, Canopy, Unify and Worldline. Atos SE (Societas Europaea) is listed on the CAC40 Paris stock index.